ISRAEL. Relax, culture and fun: all this is concentrated in a little bit more than 20.000 km2. Isreal is a little country meeting the needs of every kind of traveler. Before leaving for Israel we did not have a clear idea of what we would have found once there. We were fully aware of the geopolitical tensions that have been plaguing the country for decades, and for this reason we imagined finding a different atmosphere. Our predictions were right away disproved and we realised that western destinations are more and more shrouded in an oppressive cloud of fears and insecurity, think for example of Paris and London. Israeli citizens are strong and responsive pepole: over the years they have successfully adapted to a context that has not always been easy. So forget to find massive military presence or scared faces there: Israel is far from that. Looking for different aspects that this country offrers to its visitors, we organized our trip with three stops. First destination: the Dead Sea, then Jerusalem and Tel Aviv. We landed at Ben Gurion Airport, which is almost halfway between Tel Aviv and Jerusalem, and we headed to the Dead Sea coasts. An almost moon landscape and cobalt-blue waters make this place absolutely unique. 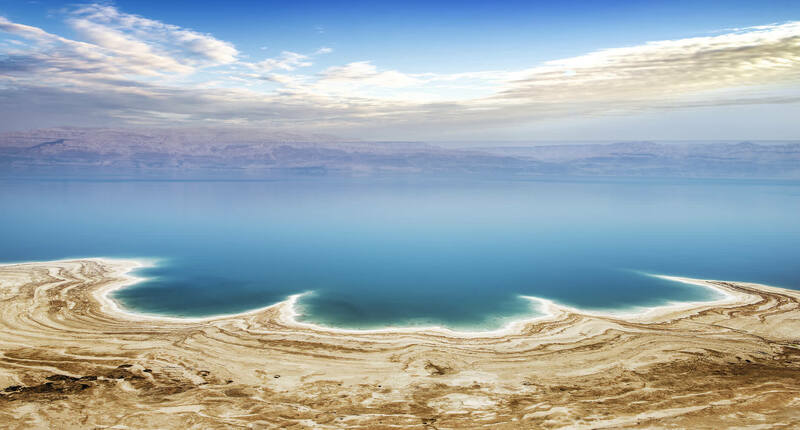 There are two things that make the Dead Sea different from any other basin: the fact that it lies in a depression 450 meters below sea level, the lowest point on the face of Earth, and its extremely saline water. Starting from the Roman conquest of this territory, the Dead Sea has been exploited for his excellent healing properties, especially for skin diseases. This is due to its high salt concentrations, as well as to the massive presence of minerals such as calcium, magnesium and bromine and the percentage oxygen concetration, which is higher than elsewhere. The Dead Sea mud is an excellent remedy for our skin, not only from an aesthetic point of view but also from a curative point of view. The mud is well known for its multiple propteries: astringent properties (blood flow and pressure), cleaning , decongestant (skin equilibrium) and also depurative (cell repair). Floating in the Dead Sea waters is an experience that everybody should live. The weightlessness sensation you can feel in the water is kind of funny. 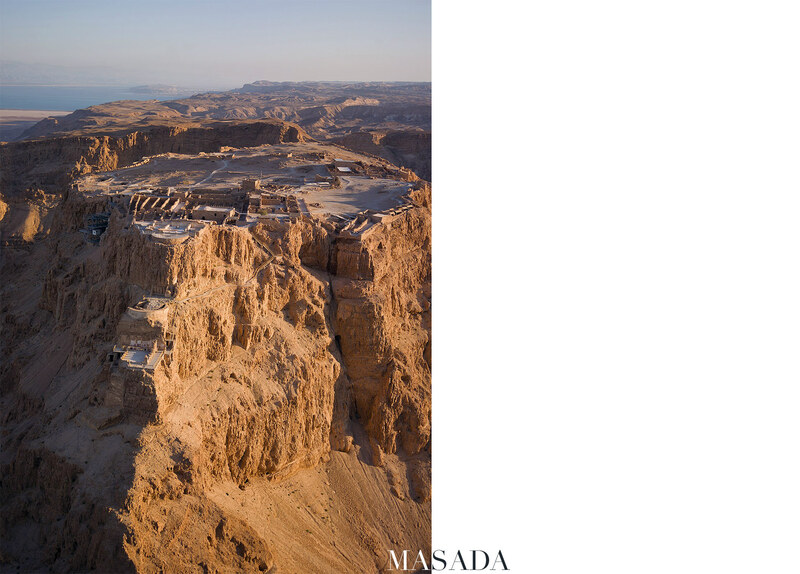 Everybody who visits these areas should not miss the opportunity to stop at the ancient Masada fortress, a UNESCO World Heritage Site. The complex rises up on a rock cliff 400 meters above the Dead Sea, a hundred kilometers from Jerusalem. The fortress was built by King Herod and it would have gone down in history for the roman siege in 74 A.D, culminated with the mass suicide of its people. After a two-hour journey from the Dead Sea, we finally reached Jerusalem, the capital of Israel and an holy city for Christians, Jews and Muslims: a unique and extraordinary cultural mix. 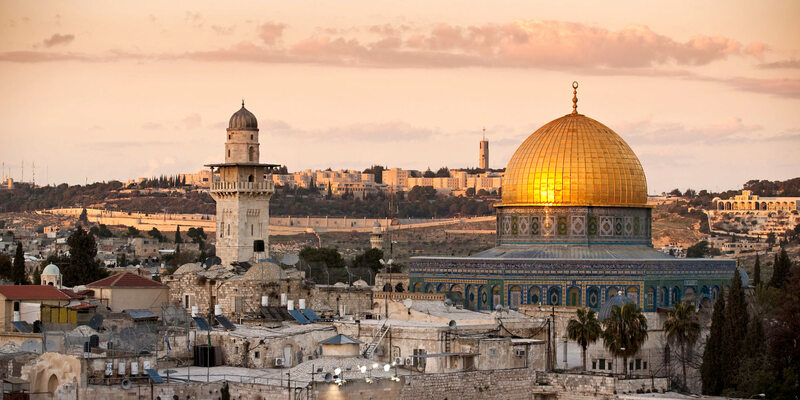 The Old Jerusalem hosts in less than a square kilometer different places with a deep religious significance, like the Temple Mount, the Wailing Wall, the Curch of the Holy Sepulchre, the Dome of the Rock and the al-Aqsa Mosque. Within the ancient walls there are four quarters that used to divide the city during the history. In the north- western part there’s the Christian Quarter, with the Church of the Holy Sepulchre, built in the site of Jesus of Nazareth’s tomb, in the southern part there is the Armenian Quarter, in the northern part of Jerusalem there is the Muslim Quarter, with its Dome of the Rock that characterises the skyline of the city. The Jewish Quarter, in the south-eastern part of the Old City, is bounded by the Western Wall or Wailing Wall, a holy place for the Jewish community. Fascino retrò for the most iconic hotel in the city. Hotel with a modern and contempirary design. Elegant boutique hotel with a breathtaking terrace above the city. Restaurant/bazar/market where you can have dinner sitting in front of the open kitchen. 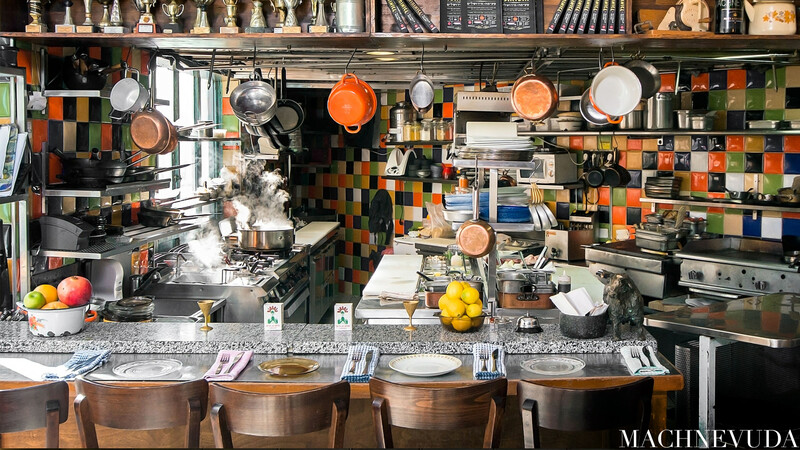 Restaurant directed by chef lan Grossi, Eran Peretz and Roger Moore, which are considered the creators of Jerusalem cuisine. A good restaurant opened 24 hours a day, 7 days a week. Last stop Tel Aviv, the Miami of the Middle East. The city, founded in 1909, is a modern and lively center; very different from the capital of Israel. 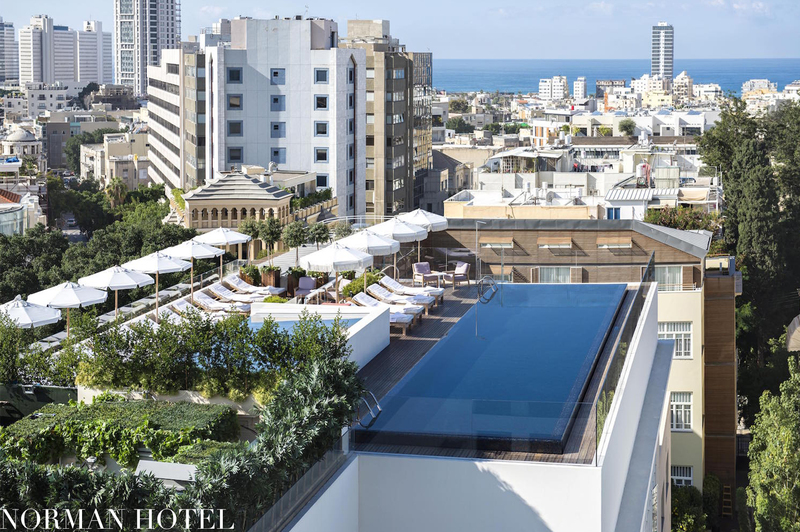 Tel Aviv, thanks to its wide offer of hotels, beaches and bars, is the perfect destination for young and international travelers. You can’t miss spending a day on its white- sand beaches and discovering the bauhaus architecture strolling along the famous Rothschild Boulevard. 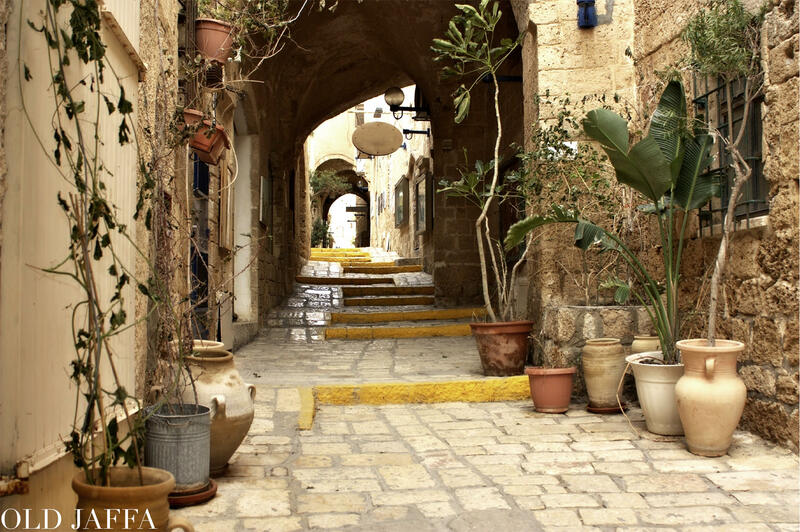 Another place not to be misses is Jaffa, an ancient port village which is now part of the city. The Old City rises on a cliff above the sea, and in the same places where fishermen used to live you can now admire refined modern art galleries, design boutiques and clothing stores. We suggest you to visit Maskit boutique and the little museum of the brand. It was founded in 1954 by Ruth Dayan and it collaborated with important labels such as Givenchy, Dior and Saint Laurent: the real germ of the fashion industry in Israel. Elegance and charme that takes you back to the 20’s. Sophisticated boutique hotel with only 12 rooms. “The ultimate place to be” in Tel Aviv. Delicious dishes and fun, the perfect choice for your more informal dinners. The most suggested choice fot the ones who can’t resist to fusion/ asian cuisine.